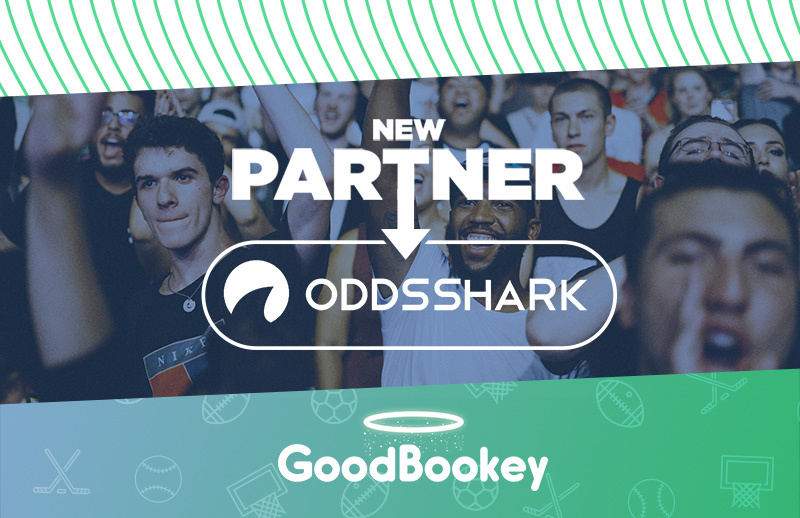 In an effort to enhance its user experience and authentic fun factor, GoodBookey is proud to announce its latest partnership with online sports betting powerhouse OddsShark. A one-stop shop for picks, odds, betting news, and trends, OddsShark is one of the most respected names in the industry. OddsShark is a great resource for fans, bettors, and media outlets looking for wagering information on sports and pop culture events. The OddsShark platform features the latest odds, trends, and information on everything from the NFL and NCAA football and basketball to Major League Baseball, NBA, NHL, and the UFC. Odds come into OddsShark, an odds aggregator, from around the globe, giving its GoodBookey users optimal information when placing their charity wagers on the app. In its role as an odds aggregator, OddsShark takes odds from a host of sports books, such as those from the Las Vegas casinos, and provides an aggregate consensus of the odds as well as select odds offered from the biggest names in sports betting. GoodBookey users will enjoy OddsShark’s collections of statistics and other data that are influential for establishing and changing odds for each event. For Carimus Director of Business Development Tyler Eshraghi, aligning with one of the most respected names in the sports betting industry is a big leap forward for the GoodBookey platform. “GoodBookey started as two people making straight-up wagers to pick winners, with the loser’s money going to the winner’s charity. While that’s still there, we’re trying to make the experience as varied and fun as possible,” he explained. “Now with OddsShark and the capabilities it brings to us, users can have lots of choices for how they make individual peer-to-peer wagers, as well as how they choose to play our emerging contests, such as our multi-week NCAA football challenge that ended recently.